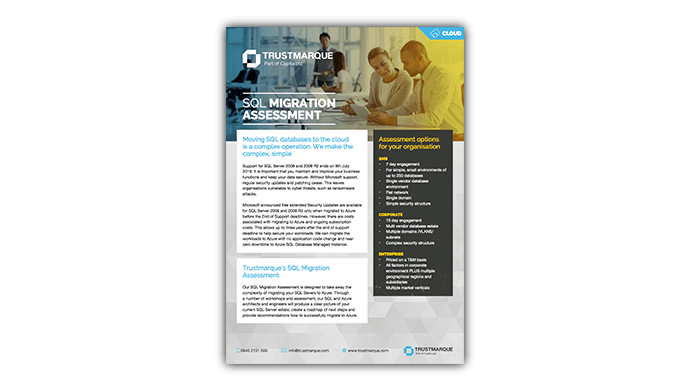 Knowing what to migrate to the cloud and when can be complex. 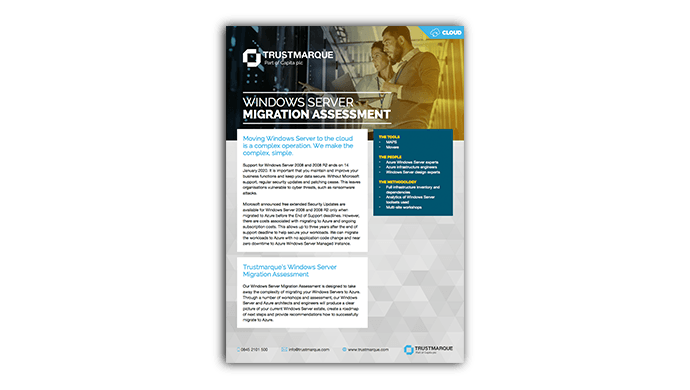 Some workloads are more cloud-ready than others, while other systems may need to be adapted to work in the cloud. 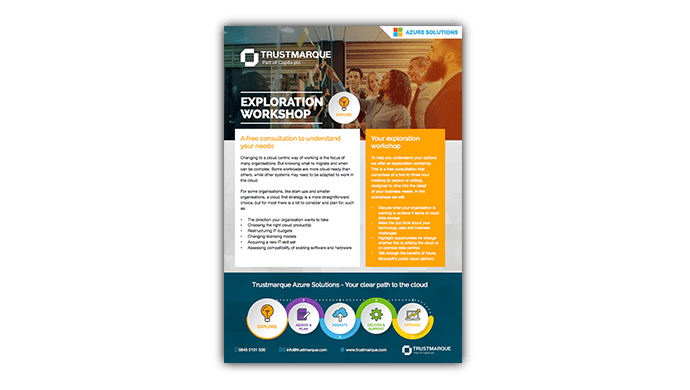 Whether you’re looking to take advantage of Microsoft’s free extended Security Updates for SQL Server 2008 and Windows Server 2008 when migrated to Azure, or you have a longer strategic plan for cloud adoption our exploration workshop will help you understand your options.